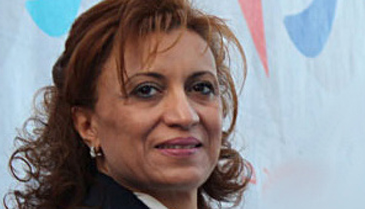 In July 2018 Abderrahim became the new mayor of Tunis in the first local elections since the fall of Ben Ali’s regime. Those elections brought the electoral cycle that began in 2011 to a close. The results across the country were a sign of renewal (49% of elected officials and 29% of mayors were women, and 37% of those elected were under 35 years old), but also of frustration among the people, as only 35% of the electorate turned out to vote. Abderrahim belongs to Ennahda, a party with roots in political Islam, but which has been moderating its positions to connect with broader swathes of society. The nomination of a woman to stand for mayor of the capital was seen as a sign of this ideological transition. African Continental Free Trade Agreement (AfCFTA): the largest free-trade area? 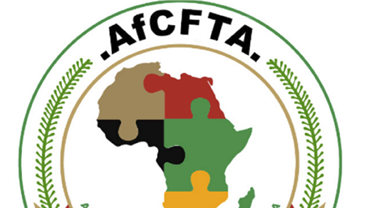 In March the so-called African Continental Free Trade Agreement (AfCFTA) came into existence. A total of 49 countries have since joined this new trading space, which aspires to create a continental market of over 1.2 billion people and to promote the free movement of people and capital. Of those 49 countries, 13 have ratified their membership, though at least nine more ratifications are necessary for its entry into force. Kenya and Ghana were two of the first countries to ratify, but with Muhammadu Buhari’s government under social and economic pressure the continent’s largest economy, Nigeria, has declined membership for the time being. Since the victories of Narendra Modi (2014) and Yogi Adityanath in Uttar Pradesh (2017), the BJP and its allies in government have been central in a new wave of rejection of Muslims. Following the approval of restrictions on the trade in beef cattle, the rise in lynchings for consuming, trading or possessing beef went hand in hand with the anti-Muslim rhetoric. The controversy has resurfaced about the land around the Ayodhya mosque, which was destroyed by a mob of ultranationalist Hindus in 1992; the desire to build a temple on the mosque’s ruins in the belief that it is the birthplace of the god Rama has again been used as a political weapon. The BJP’s defeat in various states in the Hindu heart of the country in December could lead to a power struggle led by those in the BJP who demand a shift further to the right. The actresss Fan Bingbing, tremendously popular for her appearance in box office movies like X-Men and Iron Man, and with over 62 million Chinese followers on social networks, suddenly disappeared from the limelight in June, giving rise to speculation about her possible detention by the Chinese authorities. Two months later, in September, the actress reappeared and sought forgiveness from her followers and admitted a tax offence for which she was fined $162 million. Her case is one of the most striking of the “exemplary punishments” enacted by the regime as a reminder that, as Fan said in her statement, “without the [Communist] party and the state’s good policies, without the love from the people, there would be no Fan Bingbing”. 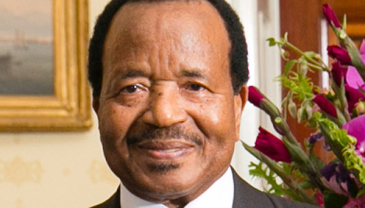 The 85-year-old leader of Cameroon, in power since 1982, was re-elected in October for a new mandate of seven years, making him the second longest-serving African leader, behind only Equatorial Guinea’s Teodoro Obiang. While the controversial elections were finally recognised by much of the international community, Cameroon faces multiple crises that have resulted in serious political, economic and even humanitarian instability (16% of the country’s population suffers from food insecurity). To the violence perpetrated by Boko Haram in the north of the country must be added the rebellion of the English-speaking minority (20% of the population), which has already left over 500 dead and thousands displaced by confrontations between insurgent groups and the authorities. Months before bursting onto Brazil’s turbulent political landscape nobody could foresee that this army reserve captain representing a tiny party would catalyse the discontent in Brazilian society and win the presidency with popular support that broke through class barriers. Despite his direct, controversial and politically incorrect discourse he won the support of significant lobby groups who will seek to increase their share of power. 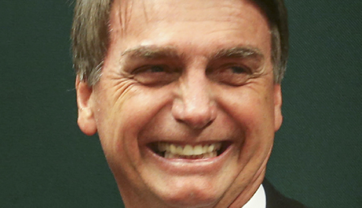 With a patchwork governing team of liberals, ultraconservatives and military figures, Bolsonaro prompts uncertainty, not just in Brazil, but also across the region and beyond, above all because of his rapprochement and alignment with Donald Trump’s United States. At the end of April 2018 a campaign began on Morocco’s social networks to boycott various national companies such as Afriquia fuel and Sidi Ali mineral water. The boycott’s target was Aziz Akhannouch, minister of agriculture and the second-richest person in Morocco behind King Mohammed VI. The speed with which the campaign spread and the popularity it gained has been interpreted as a sign of major social unrest that could intensify if it is not addressed. Thus far it hasn’t reached the figure of the king, but it has come close. 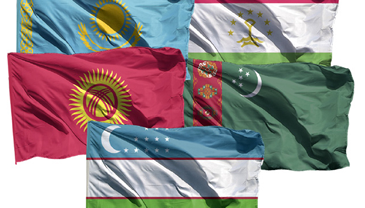 Kazakhstan, Kyrgyzstan, Tajikistan, Turkmenistan and Uzbekistan are playing key roles in a resurgent regionalism which, even if it doesn’t materialise in the formation of common institutions, is manifested in an improved structuring of the region, which is these days starting to behave like an international actor. The change in the Uzbek government and the reforms carried out by Miziyoyev have served as a catalyst for the region. The regional integration underway follows a coordinated realism that may benefit these five republics if they can unite in manoeuvring to defend their common interests against the rise of Russia and China. 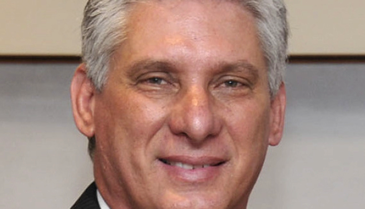 After six decades of government by Fidel and Raúl Castro, Miguel Díaz-Canel was chosen to navigate the transfer of power. This is both a generational handover and places a civil –rather than military– figure in the Cuban state’s highest office. 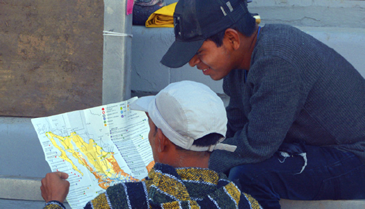 Díaz-Canel faces the need to implement necessary political and economic reforms under the tutelage of the party’s highest figures in a delicate economic context and fairly adverse regional political surroundings. With a discreet profile and the air of a party technocrat, it seems unlikely that Díaz-Canel will take many risks. Instead, he will take the path of revisionism without rupture in search of alliances that make up for the loss of Venezuelan financial support and, following the election of Donald Trump, the hiatus in the rapprochement with the US initated by Obama. The winds of change have also influenced another historical decision in the Horn of Africa region. The governments of Eritrea and Ethiopia decided in September to bring an end to the dispute they had been engaged in for more than twenty years, and which caused over 80,000 deaths between 1998 and 2000. As well as the decision to withdraw their troops from the disputed border areas, tension-lowering gestures were made by both countries (institutional trips, resumption of commercial flights, etc.). One of the agreement’s possible implications could be the changes to the policy of forced and indefinite recruitment by Isaias Afwerki’s Eritrean government, which has led, among other things, to the mass exodus of nearly half a million young Eritreans from their country in recent years. The former Ecuadorian foreign minister is the first Latin American woman to be elected President of the United Nations General Assembly. For the next year, this experienced politician will be in charge of leading the debates in the largest global forum. In her opening remarks at the 73rd session she defended multilateralism and, among future priorities, mentioned progressing with reforms to the United Nations to make the organisation more effective and “relevant to all people”. During her mandate, she said there would be no lack of support for defending the rights of women, young people, the disabled and migrants in the framework of the 2030 Agenda for the Sustainable Development Goals. 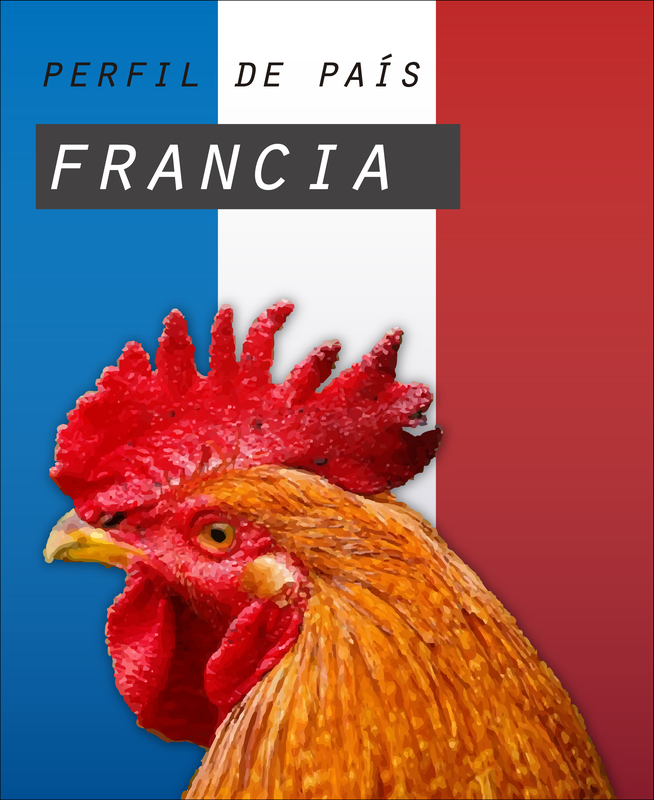 What began as a protest against a rise in fuel prices became a revolt of gigantic proportions that challenged the foundations of the Fifth Republic, and with it the authority of President Emmanuel Macron. Led by citizens who felt forgotten by the system, the “yellow vests” revolt quickly took on an anti-elite character. The losers of globalisation, they see their political leaders as removed from their reality and look upon the future with more fear and desperation than optimism. What the gilet jaunes exemplify in France is a symptom of something revealed in various parts of the EU, whether via increased votes for populist political parties or growing opposition to the European project. At just 18 years old, this young American has become an icon for gun control in the United States. Following the massacre at her high school in Parkland, Florida, González and her classmates led the organisation of the March For Our Lives on March 24th 2018, the largest anti-gun demonstration in the country’s history. On that day, González stood on the stage in complete silence for 6 minutes and 20 seconds, the exact amount of time the Parkland shooting lasted. Once again, the Chinese president is this year an essential figure for understanding the present and future of international relations in Asia. His challenges play out in diverse fields at the same time: whether it is the trade war and direct competition with the US for international hegemony –in which thus far he has been much more restrained than Washington– or in the domestic sphere, where substantial reforms will have to be made in the economy. 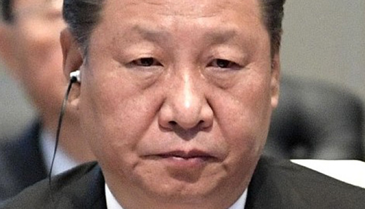 At the head of the party-state, Xi will have to find an increasingly tricky balance between the globalised free market, rising Chinese nationalism and the Marxist-Leninist ideology. The candidate favoured by the establishment, Imran Khan won this year’s elections by a smaller margin than his tsunami of change proclaimed, though his popularity cannot be denied. Khan has managed to put an end to bipartisan alternation –thought it remains strong in various parts of the country. Nevertheless, his popularity shows that politics in Pakistan is changing as much as its population, which is now over 207 million and in which the young predominate (64% are under 30). They demand the traditional clientelist structures be replaced by a more equitable system. 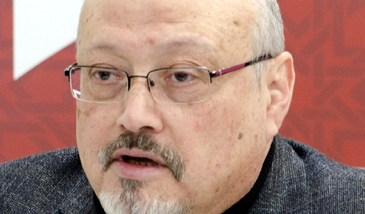 On October 2nd, this journalist –one of the regime’s critics– was brutally assassinated by a hit squad of special agents in the Saudi consulate in Istanbul. Both his disappearance and the methods used produced a strong wave of global indignation. Many voices pointed to the Crown Prince, Mohammed bin Salman, as instigator of the assassination. Saudi Arabia’s international allies found themselves under pressure and the international campaign was stepped up to stop the humanitarian catastrophe in Yemen. The Turkish president, Recep Tayyip Erdoğan, took advantage of the crisis to settle accounts with Mohammed bin Salman and voices began to emerge from the royal household questioning the Crown Prince’s suitability as future monarch. At the end of 2018 Russian rappers with great popular success were subject on various occasions to pressure from the police and the judiciary to cancel their concerts. Dmitri Kuznetsov, known as Husky, and one of Russia’s most famous rappers, was detained for 12 days, accused by prosecutors of extremism and vandalism. He had stated on social networks that his group had been obliged to cancel various events in other Russian cities. The South Korean foreign minister, Kang Kyung-wha, came through serious parliamentary scrutiny to become the first woman to fill the post. In September 2018, as Moon-Jae-in’s envoy, and in the framework of the negotiations to resolve the conflict with North Korea and pave the way to dialogue with the Trump administration, she became the first foreign minister to visit Pyongyang. Kang has an extensive career behind her as an interpreter – she was even the voice of the English announcements on Seoul’s metro – in the foreign ministry and particularly in the United Nations, where she was the first person to be appointed by three consecutive secretary-generals, and where she served in the Human Rights Commission and as senior advisor to the secretary-general. These two Burmese journalists, who worked for Reuters, were sentenced to seven years in prison for breaking the official secrets act –which is rarely applied in Myanmar and which dates from the colonial period– after a highly dubious detention and court process, which, according to a police informant, was the result of a trap to arrest them with sensitive information. The plot sought to make them pay for their investigation into the execution of ten Rohingya prisoners in the village of Inn Din in Rakhine State, which was documented in their articles and led the army to recognise the facts via an official communiqué, an extremely rare event. Rakhine State has been the scene of a mass ethnic persecution which, since August 2017, has caused tens of thousands of deaths and the exodus of 700,000 Rohingya to neighbouring Bangladesh. The thumbs-up gesture made by the two journalists in their media appearances has become a symbol of their cause and of press freedom in Myanmar. At the third attempt, the controversial AMLO won the presidency of the Mexican Republic and broad parliamentary representation that he will seek to use to tackle the major reforms he has promised. Disaffection with the traditional parties that have governed previously has led Mexicans to place their hopes in the promises of regeneration made by this veteran politician, who is sometimes accused of populism. In order to achieve his objectives, he has managed to forge broad alliances to address political and economic reforms for which he will seek popular approval, while trying not to startle nervous markets and avoid chasing investors away. With this leftward shift, Mexico is again showing countercyclical political behaviour relative to the rest of the region, which is mostly moving to the right. 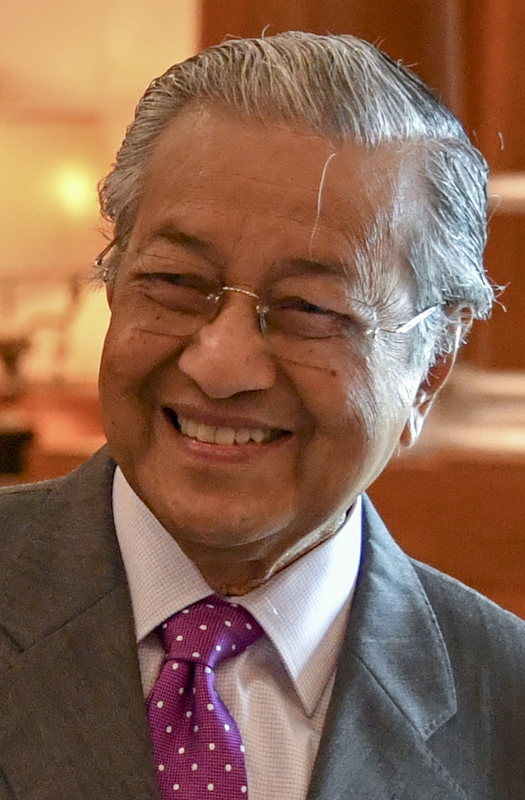 At 92, and for the second time (first mandate 1983–2001), Dr Mahatir returned to the Malaysian government thanks to a groundbreaking programme based on deepening democracy (reversing “oppressive” laws), cleaning up the economy and giving his country greater autonomy, particularly with regard to China and its loans policy. In this area, Mahatir is particularly bold, cancelling among other things the construction of oil pipelines and a railway that is important for China’s One Belt, One Road (OBOR) megaproject. In October, his government abolished the law of sedition and the death penalty, the second of which, in particular, runs contrary to the dynamic in neighbouring countries such as Thailand, Indonesia and Singapore, and in practice, the Philippines, who all retain it. Meduza is considered to be one of the best websites dedicated to providing rigorous and independent information about Russia and the former Soviet Union. 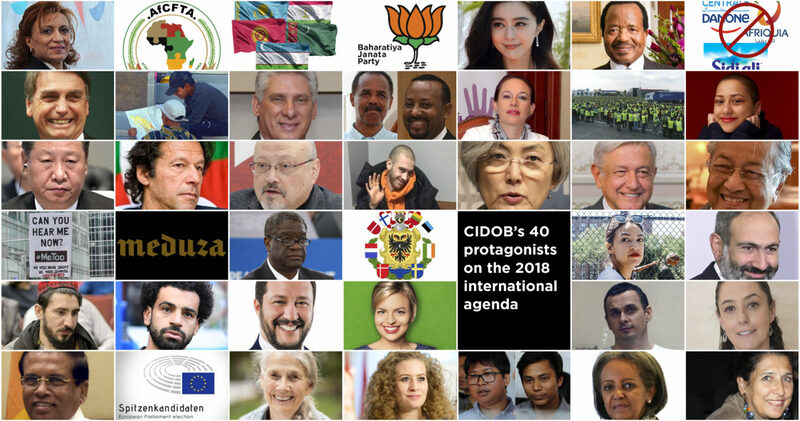 The plurality of its sources and the professionalism of its editors have earned the trust of international experts and journalists. The editorial team has had to set up in Riga, the Latvian capital, in order to be able to carry out its work securely and without harassment and pressure. This hashtag, used on social networks to draw attention to and denounce the harassment of women, has had great impact in 2018, going beyond being a mere hashtag to become a global movement outside the virtual world. It began in the United States movie industry with assault allegations against Hollywood producer Harvey Weinstein, but quickly spread to other fields and countries. 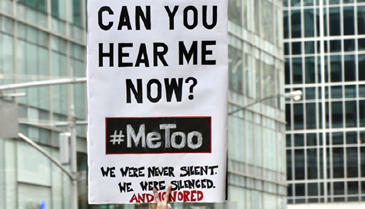 Although the results and impact have been uneven, the #MeToo movement has undeniably managed to put the problem of sexual harassment in the workplace on the agenda, and therefore marks a turning point. The mass exodus of 7,000 Hondurans, joined by other citizens from the Central American region, sounded the alarm about the deteriorating situation in Honduras, with growing rates of homicide and violence and a lack of opportunities leading them to flee. The Trump administration’s poor reception has dashed the dreams of thousands people; some return in resignation, others seek entry by different means. Through their collective action, the forgotten victims of poverty and vulnerability have managed to garner international media attention. Nevertheless, it does not seem to be drawing greater attention to the underlying problems. Along with the Iraqi Yazidi activist Nadia Murad, the Congolese gynaecologist and activist Denis Mukwege was awarded the Nobel Peace Prize for “efforts to end the use of sexual violence as a weapon of war and armed conflict”. Since the mid-nineties, Mukwege has led Panzi Hospital in the Congolese city of Bukavu, where he has operated free of charge and provided psychological support to over 40,000 women and girls who have been raped by the different armed actors fighting in the Democratic Republic of Congo. For Mukwege, the sexual violence in armed conflicts represents the use of women’s bodies as a battlefield. The New Hanseatic League is an informal alliance of EU countries (as is the Visegrad Group), which brings together Ireland, the Netherlands, the three Baltic and the three Nordic states to defend their issues jointly in the EU. It was launched in February 2018 with the aim of compensating for these countries’ loss of political weight after the United Kingdom’s departure, and it is behind Brexit that they have sheltered when justifying positions opposing further integration. These countries share a similar perspective on the reform of the Economic and Monetary Union, with iron fiscal discipline as a starting point and opposition to mutualising risks and deepening economic integration without prior structural reforms. 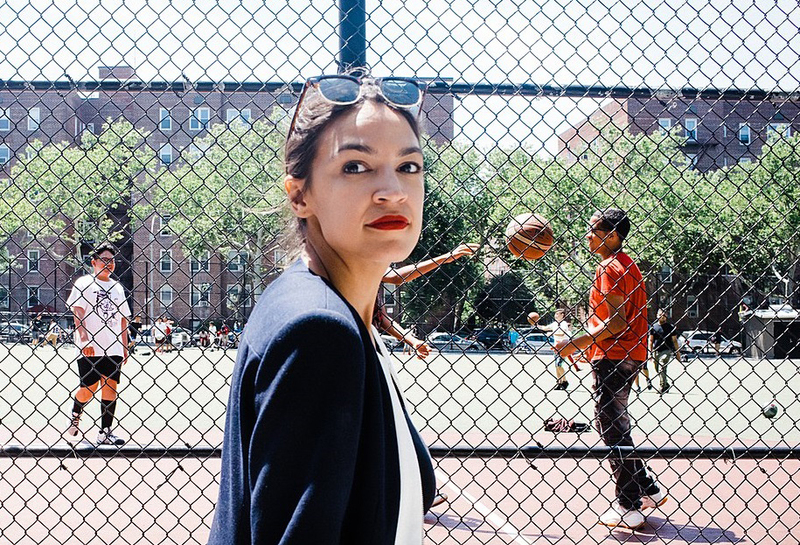 Female, young, Latina, from the Bronx, self-defined ideologically as a socialist (unthinkable until recently in the United States), against all expectations Ocasio-Cortez defeated her opponent in her party’s primary in New York. “Women like me aren’t supposed to run for office”, was one of her campaign slogans. Following November’s US Congress elections she became, at 29, the youngest congresswoman in history, and helped the 2018 elections provide the most diverse and most female Congress in history. An extensive campaign of civil disobedience and mass protests against Serzh Sargsyan, leader of the governing Republican Party of Armenia, took place in April 2018 in various cities across country at the behest of the opposition leader, Nikol Pashinyan, who ended up being elected prime minister by parliament in May 2018. Despite voting in 2013 against the Russian-led Eurasian Union, Pashinyan seems now to be adopting a more conciliatory position towards the country’s larger neighbour. Tens of thousands of young people from Pakistan’s Federally Administered Tribal Areas (FATA) have taken part in protests against discrimination and the disappearance of hundreds of relatives. The FATA’s Pashtun population, trapped between insurgency and security forces, stereotyped as violent and radicalised, has found in young Manzoor Pashteen the face of a new leadership. Pashteen speaks clearly against the anti-terrorist policy led by the army and the intelligence services, and is direct in describing the abuses committed against the local population. Reviving the spirit of the peaceful protest of Bacha Khan (Khan Abdul Ghaffar Khan) in colonial India, Pashteen has activated legitimate protest that demands justice for Pashtun and Baloch minorities. One of the major international events of 2018 was the football World Cup in Russia. One of the players who is most admired in his country is Mo Salah, both for his virtuosity on the field of play and his exemplary personal life. Salah is seen as a person who remains humble, modest and generous despite his success. His popularity is such that his Twitter account already has seven million followers and, even more significantly, over a million people spontaneously wrote his name on ballot papers in the March 2018 Egyptian presidential election. Matteo Salvini has been at the heart of a turnaround in Italian politics, leaving the centre-left decimated and disunited and replacing the eternal Silvio Berlusconi and his party Forza Italia as the reference point for the Italian centre-right. As the minority coalition partner to the Five Star Movement (M5S), Salvini set up a government and managed to dominate the political agenda with his attacks on immigration and the EU. M5S has interiorised these attacks, allowing Salvini to be the face of the government and even to overtake M5S in the polls. His popularity has led him to propose himself as Spitzenkandidat for the far-right Eurosceptics in the May 2019 European Parliament elections. Katharina Schulze provided a surprise in the Bavarian regional elections by co-leading the German Green party to second place in a Land where the Christian Democrats of the CSU had traditionally held an absolute majority. The easygoing, multicultural, cosmopolitan and pro-European message placed the Greens in opposition to the CSU and Alternative for Germany’s anti-immigrant and refugee discourse, and demonstrated that there is an alternative to fomenting fear by instrumentalising these issues to win elections. Another woman, Annegret Kramp-Karrenbauer (AKK), is also destined to play a central role Germany’s political future, having been chosen as Angela Merkel’s replacement as leader of the CDU. Oleg Sentsov is a Ukrainian filmmaker and writer who is originally from Crimea. After the annexation of this region by Russia in March 2014, Sentsov was arrested and sentenced by a Russian court to 20 years in prison for plotting terrorist acts. Amnesty International denounced the process as an “unfair trial in a military court”. In December 2018 Oleg Sentsov received the European Parliament’s Sakharov Prize for Freedom of Thought. The prize-giving took place in Strasbourg on December 12th. 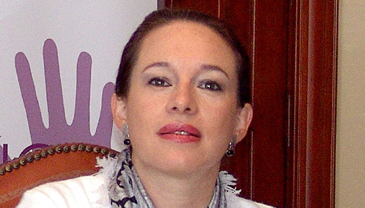 The first woman elected head of government of the Mexican capital, one of the most populous metropolises in the world. 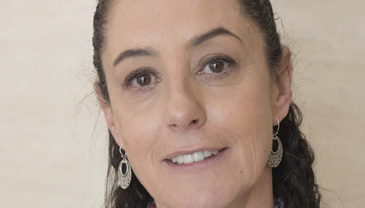 A renowned scientist, she won the July 2018 elections as part of the left-wing ‘Juntos Haremos Historia’ coalition with proposals for the Mexican capital on sustainable transport, education, security, gender equality and drinking water supply, among others. Within a few weeks of taking office in December, Sheinbaum promoted measures to eradicate violence against women. Among others, the campaign #AMiMeRespetas was started to combat sexual harassment on transport public. On October 26th, President Sirisena dismissed the prime minister, Ranil Wickremesinghe, and named the previous president, Mahinda Rajapaksa, as his replacement. Sirisena dissolved parliament in November. The political struggle, which featured violent confrontations between members of parliament, jeopardised the achievements made to date in terms of press freedom and police and judicial independence. Indeed, the Supreme Court declared Wickremesinghe’s dismissal illegal, helping him retake the role of prime minister on December 16th. This political confrontation puts at risk the efforts of ethnic reconciliation that are so essential for the country’s future. Spitzenkandidaten, the formula that is back … to stay? 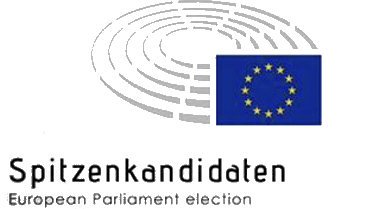 With transnational lists ruled out by the European Parliament, the formula for electing the European Commission president will, in principle, be that of the Spitzenkandidaten, as it was in 2014. Three of the four main groups (People’s, Socialists and Greens) have already chosen their candidates (two, in the Greens’ case). The ALDE group, which put forward a convinced pro-European last time, may not present a Spitzenkandidat for the May 2019 elections. Emmanuel Macron has placed this condition on the ALDE leadership so that his party, which currently has no representation in the European Parliament, can swell the ranks of the liberal parliamentary group. Macron thereby keeps one card for himself when it comes to negotiating the key positions following the European elections. The Europhobic parties (such as the National Front and the League) are considering whether to put a candidate forward, while the Left group is debating whether Yanis Varoufakis is best placed to head their list. After a life involved in fighting poverty, for some years now Swanson has led the social movement Freeze the Rent, which campaigns for affordable rents in Vancouver. In just a year rental prices in the Canadian city have grown by 20%. The movement recently managed to get the permitted annual rise in rental contracts down from 4.5% to 2.5 % for 2019. In the October 2018 municipal elections Swanson was elected to the city council. Born in 2001 in a West Bank village, Tamini belongs to a family of activists and her first protests in the public eye date back to when she was ten years old. Her case became famous due to the legal process that began after she slapped a soldier in December 2017 when she was 16. The Palestinian conflict has been losing prominence on the international agenda due to the lack of progress on peace negotiations and the virulence of other international conflicts. Nevertheless, Tamimi has been able to give a face to the Palestinian resistance once again. Ethiopia was the setting for one of this year’s most significant political handovers. After the abrupt exit of Hailemariam Desalegn in February, the new prime minster, Abiy Ahmed, named a new cabinet and assigned half the ministerial posts –among them, defence, the new Peace Ministry and the intelligence services– to women. And thus, Sahle-Work Zewde –until then Special Representative of the UN Secretary-General to the African Union– was named the country’s first woman president. The role may be merely representative in nature, but the appointment of Zewde and the new cabinet is a milestone in the advancement of gender equality on the continent. European Union leaders congratulated Salome Zurabishvili on her election as president of Georgia on October 28th 2018, and urged her to end her country’s “political polarisation”. This French career diplomat of Georgian origin was backed by the multimillionaire businessman Bidzina Ivanishvili, the founder of the governing party Georgian Dream. According to international observers, Zurabishvili benefitted from a significant advantage in elections that were nevertheless competitive.